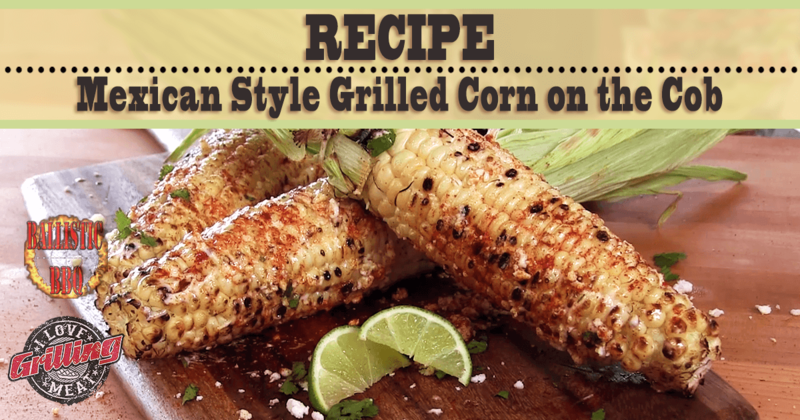 Mexican Style Grilled Corn on the Cob Recipe! Before we start cooking, let’s go over how to prepare your corn for the best results: First, peel the tough husk around the corn. Remove the silky threads, and secure the husk with roasting twine. Some people prefer to remove the bottom entirely, but this way it can serve as a grip while cooking. Place the corn ears over indirect heat on your pit. Continuously turn the corn to ensure even cooking. After 7-8 minutes, the corn should have turned from white to a pale yellow- at this point, move it over to direct heat to give it a nice char. Remember to keep turning, otherwise the corn will burn. After another 2 minutes of turning, it should be ready. Next, slather the corn with melted unsalted butter and regular mayonnaise. Sprinkle with some chopped cilantro and Mexican queso fresco cheese (if you can’t find queso fresco, feta cheese or parmesan will work too). Finish off with chile pepper and fresh lime juice.